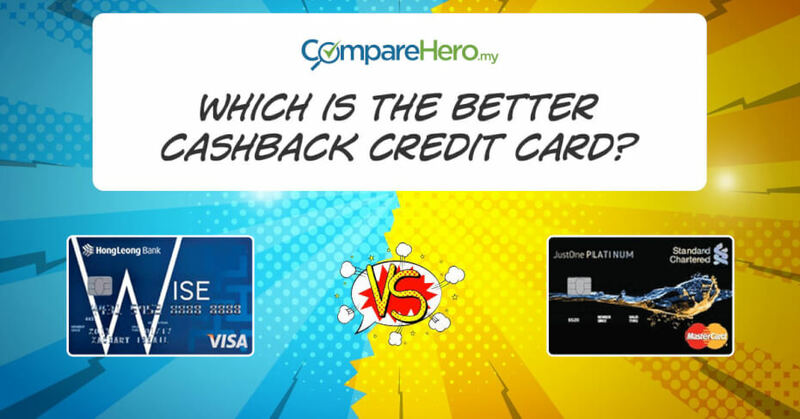 Cashback Comparison: Hong Leong WISE or SCB JustOne Platinum Mastercard? The Standard Chartered JustOne Platinum Mastercard offers a tiered cashback rate from 5% up to a max of 15% on autobill, online shopping and petrol spend. 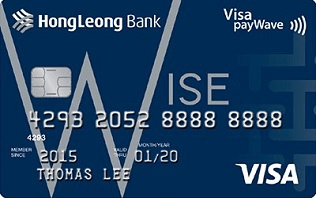 The Hong Leong WISE Gold Card come with a fixed cashback rate of 10% on a total of 10 retail categories but you can only choose two categories to earn cashback on. Which is better? Both cards have similar features including the annual fee, interest rate, interest-free days, late fees, and eligibility. So then, which card deserves that spot in your wallet? To find out, we pit the two cards against each other in a battle of its various features to find out which comes out on top. Here’s a breakdown. Here’s where the main contention between the two cards lies. The Standard Chartered JustOne Platinum Mastercard offers a tiered cashback rate, which means that you don’t have to reach the minimum spend of RM2,000 per month to enjoy the rewards. 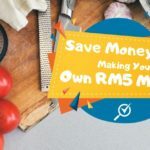 With as little as RM1,000 per month, you can gain 5% cashback rate on your monthly spend. However, the catch is, it only applies to spend on Autobill, Online, and Petrol. All other categories like Dining or Travel would only earn you a 0.2% cashback rate, but at least you get something. Based on the table above, you will earn a 15% cashback on each category and a 0.2% cashback on the other categories. The Hong Leong WISE Gold Card gives you the flexibility of picking your two categories that you earn cashback on. You get to choose from a total of 10 categories which includes Mobile, Pharmacies, Groceries, Petrol, Dining, Departmental, Book Stores, Utilities, Entertainment, Travel. This makes it a whole lot more inclusive and the best part? You can switch your 2 categories at any point in time. There is a one-time fee of RM10.60 each time you switch, though, which will be reflected in your next bill cycle so don’t go crazy. 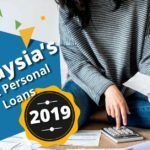 This makes it a little more adaptable to your spending patterns, however, it requires a minimum spend of RM2,000 per month and there is no tiered cashback rate. You will need to charge a minimum of 10 retail transactions with at least RM50 per transaction on a monthly basis. Which means, out of your minimum RM2,000 spend, RM500 of it needs to be within your two categories to enjoy your cashback. You get a fixed rate of 10% and zero cashback on spend that falls out of the two categories you select. 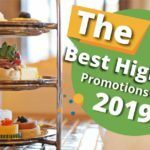 Because the Standard Chartered JustOne Platinum Mastercard offers tiered cashback rates for various spending levels, we had to give this point to them. 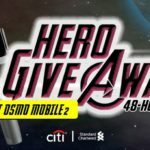 There’s a high chance you’ll earn cashback every month and can earn up to RM1020 per year. Plus, you get cashback on all other spend that does not fall within the three major categories. Although depending on the categories you spend most in, one of these two cards may be the clear winner for you. Standard Chartered offers a RM150 cashback to your card when you activate it within 45 days upon approval. We couldn’t find a similar offer by Hong Leong for the WISE Gold Card but they do offer a RM30 Zalora voucher. We’ll have to give it to Standard Chartered for this one, the RM150 cashback is more than the maximum cashback limit which is at RM85 per month. You’re definitely getting a little bit extra. Comparing the two cards, their features are almost similar in that they both have a maximum cashback amount, balance transfer options, Easy Payment Plans (EPP) for flexibility, and Supplementary Card options (to name a few). But the key differences lie in the rates offered. The Standard Chartered JustOne Platinum Mastercard offers a maximum cashback of RM85 per month, a 5.99% balance transfer over 36 months, zero annual fees for Supplementary Cards, and ongoing promotions with key merchants like 20% cashback on Uber rides when you pay with your card. For EPPs, there is a 7.88% interest per annum for successful applications made online. 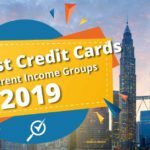 The Hong Leong WISE card, on the other hand, offers a maximum cashback of RM100 per month, a 6.99% balance transfer over 12 months, a RM84.80 annual fee for Supplementary Cards and they offer EPPs across 3 to 36 months at 0% interest on retail purchases with approved merchants. For all other merchants, there is an interest of 8.99% per annum. The WISE card also comes with great deals with merchants which you’ll have to keep reviewing their website for. If we attempt to do a comparison of the two, both cards win and lose on a few features so we’re going to give each card two points for their various features. The Standard Chartered card wins for having a lower balance transfer interest rate over a longer duration, and zero fees on their Supplementary Cards. Whilst the Hong Leong WISE card wins for having a higher maximum cashback per month and a 0% interest rate for EPPs with selected merchants. Both cards offer the same annual fee of RM265 (inclusive of GST), however, the Standard Chartered JustOne Platinum Mastercard offers an annual fee waiver in the first year. Although if we’re going to take the maximum cashback you get per year and deduct it with the annual fee, we might have a clearer winner. 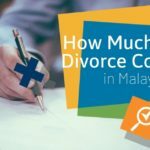 Based on the above calculation, this round would technically go to Hong Leong’s WISE card, although we’re calling it a tie because Standard Chartered offers a waiver of the first year annual fee, therefore giving you a chance to keep that full RM1,020 cashback, especially since it is easier to earn cashback on your Standard Chartered JustOne Platinum Mastercard than the Hong Leong WISE card. 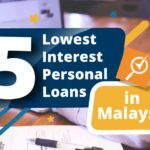 Though it would be ideal for one card to have a lower interest rate, it isn’t uncommon to see interest rates in Malaysia float around 15%. It’s a tie! We can’t possibly award one card over the other when it’s the same interest rate. Some cards offer interest-free days, and this means that you won’t be charged the rate on your outstanding amount. 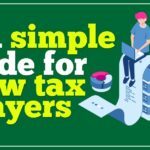 It’s a good feature to look out for to ensure you pay off the outstanding amount before the interest kicks in. Both cards offer an interest-free period of the first 20 days. Once again, it’s a tie. We falter at times and forget to pay our bills on time, and credit cards are no exception to late payment fees. 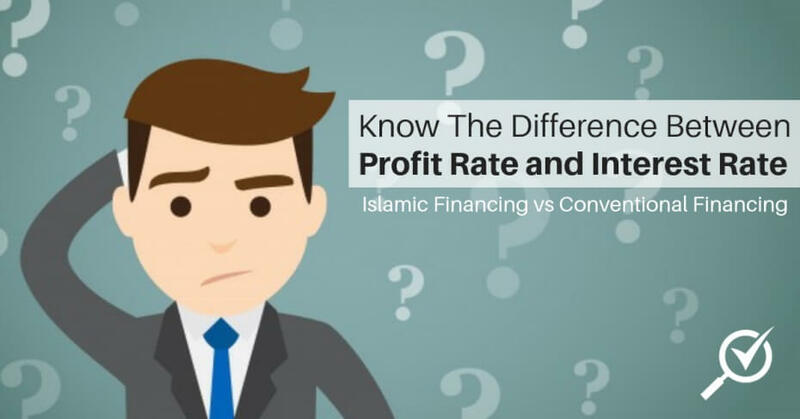 Both cards offer the same late payment fee of 1% or RM10 on the outstanding amount (whichever is higher) but at a cap of RM100. Nothing surprising here! Both cards require a minimum monthly income of RM2,000 and you need to be at least 21 years old. You guessed it, it’s a tie. 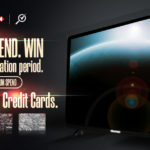 The Standard Chartered JustOne Platinum Mastercard comes on top with a two-point lead over the Hong Leong WISE card based on the features above. At the core, though, both cards offer great benefits that live up to the value proposition of a cashback card. Ultimately, it’s about finding the best card that suits your needs and preferences.